*When you join our mailing list. Join our mailing list to hear about exciting new launches and exclusive email offers. Fill your home with fragrance reminiscent of idyllic days spent in the beautiful Lake District, from our dramatic fells and tranquil lakes, to our rugged coastline and calming meadows. Browse our Yvonne Ellen candles and reed diffusers, where luxury fragrance and contemporary design are skillfully combined to create this unique and quirky collection. Celebrating a partnership between two great British brands and our shared support for British design and manufacture, our Fired Earth home fragrance collection blends premium tea-inspired fragrances with contemporary packaging for a unique selection of sophisticated candles and reed diffusers that will add a touch of luxury to any home. 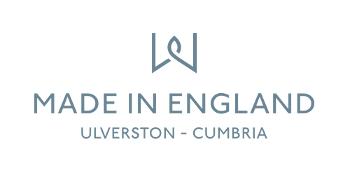 We are really proud to be Made in the UK - developing, manufacturing and delivering world-class products from our base in the English Lakes. We manufacture over 97% of our products from our factory in Cumbria, and we now export to over 40 countries around the world and support local and British businesses and manufacture.